Anyway, I'm sorry I've been a bit scarce lately! I'm hoping all of us have been/will be enjoying life outside of the blogosphere, though. =) With the end of the year within sight, I've been contemplating my reading/reviewing habits and wondering about different blogging directions. I've still got some thinking to do... But I just wanted to let you know that there might be some changes ahead. We shall see! Also, if you haven't already noticed the blog button in the sidebar, there's a special feature coming next week called "Celebrating Crafts and Christmas!" I'll be hosting a few blogging friends, and there will be some great interviews and giveaways that week, so I hope you'll stop by! And not to ruin any surprises or anything, but I'm wanting to give away a discount on one of my editing packages - so if you're a writer who has been a bit hesitant about paying a lot for a freelance editor but would like to find some assistance, perhaps you'll consider entering that giveaway and seeing if a reduced price at Editing Through the Seasons might be the route you'd like to go? I'd love to be of service to a writer friend! So, how about you? How was your Thanksgiving? Have you been keeping busy with family time and other social activities? "In pursuit of justice, in need of grace . . .
A justice-seeking perfectionist pursues her dream of a perfect life in her hometown of Miller’s Creek, Texas. Sidetracked by a desire to be a prosecuting attorney, Grace Soldano launches into uncharted waters, making herself over to please her boss and mentor. Then a disheveled free spirit turns her perfectly ordered world upside down, challenging her concept of personal goodness. A fall from perfection leaves Grace teetering between vengeance and grace, caught in a deadly crossfire that leaves her dreams in a heap of ashes. 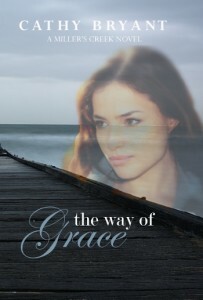 Can she learn to joyfully accept the life God has given her–far from perfect–but one completely immersed in His grace?" I admit that the pace came across as a little drawn-out at times. It's likely that some will not find the courtroom and office drama as interesting as others might. And yet, the characters kept me engaged, and the suspense eventually came into a more prominent role that held my attention. The mixture of faith crises and romantic quandaries, troubles fitting into a community and issues dealing with fellow professionals, communication problems and some sinister activity - all of it came together and even included some surprises (some pleasant, and others far from it). Grace's character is generally easy to relate to, although she didn't always come across as consistent to me (but she did have a lot to deal with that would cause some flip-flopping emotions!). And Matt is such a sweet, loyal guy. All in all, The Way of Grace has some thought-provoking things to say about how we view ourselves and how we should treat others - with a strong, straightforward look at grace and how it applies to a person's life. Yay for Winners and Sparkly Stars! 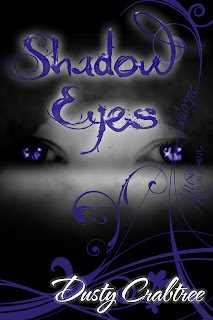 Winner of Shadow Eyes e-book: Julie Klein! Winner of The Memory Jar: Marissa Ehresman! Winner of Christmas: God With Us CD: Karen K.! The winners have all been contacted via e-mail, and they have the rest of this week to get back to me before I pick another winner. Congratulations to all three of you ladies, and thank you to everyone who entered the drawings and shared their enthusiasm for books and Christmas music! And since we're on the subject of winners and what-not, guess what my mom and I recently achieved?? Yes, we earned all 5 stars on the New Super Mario Bros. Wii game!! And not just 5 plain old stars, which we earned a while ago, but 5 sparkly stars! Care to see them up close? Anyway, most of the credit goes to my mom - she's become quite skilled at this game, let me tell you! ;) It's fun to have something you can play together and use to challenge yourself. Any other fans of Super Mario Bros. Wii out there? What types of games do you enjoy playing with your family? Fluffy and fun, A Change of Fortune is a charming read about days gone by (with a hefty dose of imagination). Not especially deep and not especially believable - but still quite enjoyable. The romance is endearing, the heroines are sassy, the heroes are dashing (and occasionally "wet blankets" in the eyes of the heroines, although they can't hold out for long...), the children are cute and open in their observations, and the adventures are rather crazy and certainly interesting. Fans of the humor and romance found in works by Deeane Gist, Lorna Seilstad, Mary Connealy, and Kathleen Y'Barbo should find this debut story to be a memorable addition to Christian fiction. 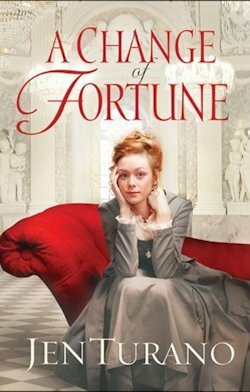 There are some really fun twists of "fate" and "fortune" in this book. Hamilton's admiration for Eliza is quite adorable, and Eliza's (and Agatha's) penchant for trouble makes things quite entertaining. Some deeper thoughts try to make their way into the story, and matters of faith are occasionally squeezed in among the mixed-up feelings and outlandish situations, but they aren't really conveyed in a poignant and convincing way. So I see this as more of a clean, light read than an inspiring one. Turano's style and character types aren't overly new, but fun stories like these with new plots and different circumstances are still in demand. A Change of Fortune, combined with the prequel novella Gentleman of Her Dreams, make a sweet first impression. "Three Stories That Share the Adventures of First Love and Second Chances. A Marriage of the Heart—Since her mother’s death, Abigail Kauffman has lived alone with her father. She longs to escape the emptiness of the farmhouse that has never felt like home. Joseph Lambert is a newcomer in their close-knit community. Only after suddenly marrying do they begin to understand the tender truths of life-long love." Three novellas by Kelly Long from separate collections (An Amish Wedding, An Amish Christmas, and An Amish Love) are brought together in one book - with an absolutely lovely cover, perfect for the upcoming winter season, might I add! For those who love Amish stories with an extra dose of romance, Long is the author to know. "A Perfect Secret," while certainly an intriguing story to begin with, is probably my least favorite of the three. It comes across as rather far-fetched with a strange premise. Luke's character is mysterious and charming, in a way, but I think if I were in Rose's position I'd be a bit put-off that my best friend and fiance wasn't who I thought he was - and, in fact, had a very different personality that he was only now displaying. But the subtle suspense and the ultimate emphasis on openness and trust in community serve as redeeming qualities. "Christmas Cradles" is the shortest of the three stories, and it's the "quickness" factor that made me a bit skeptical (the whole "falling in love in one day" sort of thing). Otherwise, this is just plain cute! The romance is sweet, the characters are endearing, and the whole story comes together in a symbolic, satisfying way. Very heart-warming! All in all, this collection is sweet, and these three stories added to my regard for Long's engaging writing style. If you're looking for some romantic, winter-afternoon reads, A Marriage of the Heart delivers. Christmas: God With Us ~ CD Review & Giveaway! 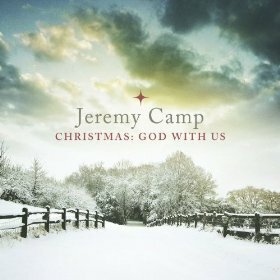 "GRAMMY-nominated and BEC Recordings’ artist Jeremy Camp will be releasing a Christmas project this holiday season titled Christmas: God With Us. This is Camp’s first full-length Christmas project in his 10-year career, and it will be available on September 25. The album is produced by Brown Bannister and Ben Shive along with Camp. Camp’s Christmas album is filled with holiday classics as well as the original title track 'God With Us.' Fans will hear favorites such as 'Jingle Bell Rock,' 'Joy To The World,' and 'Mary Did You Know.' Although these are traditional songs, Jeremy takes a fresh approach to the arrangements on his album." While not a huge fan of popular contemporary Christian music, I do love Christmas music! And Jeremy Camp is now a familiar name to me after reading I Still Believe, an autobiography (of sorts) published in 2011. [You can read my review of the book HERE.] Having been touched by his life story and having been offered the chance to review his new Christmas CD with the pretty front cover image (and the fun back cover! ), I decided to give Christmas: God With Us a try. "Jingle Bell Rock" ~ I do so enjoy this catchy song! It's really upbeat and just plain fun. Camp's voice works well with this song, but his version is a little intense and rough for my taste, instrumentally speaking. The introduction is abrupt - so beware if you have the music turned way up when you pop in the CD! And the ending, while brought about in such a way as to add flair, is also a bit abrupt and sort of out of sync with the rest of the song. "Hark! The Herald Angels Sing" ~ This is a loud and rockin' version of the carol. I think it flows better than the first track on the CD, and it works as a rollicking, updated take on the song. "Joy to the World" ~ I really like the background music in this one, and overall it's a sweet compilation. The one thing I didn't care much for, though, was the free-styling in the middle of the song. It seemed to get too far away from the main song for too long. "O Little Town of Bethlehem" ~ A gentle song, as well as the longest on the CD. Traditional, with a little bit of speeding-up off and on to make it fit Camp's style. The conclusion is rather drawn-out, but nice. "Have Yourself a Merry Little Christmas" ~ If you prefer the traditional approach to Christmas songs, this one does it well! No rockin' and rollin' here - this one is slow and smooth and sweet. "Let it Snow" ~ Short and fun! I really like the tune. "Mary Did You Know" ~ This one goes back to more of a "rock" style, with more emotion and intensity. I like the introduction to the song a lot. "God With Us" ~ The one new and original song on the CD, as well as the title track. It's kind of "simple," and the words themselves aren't very original when it comes to modern Christian worship music. Yet the words flow well, and I love that this title is also the title of the whole CD, emphasizing the true joy and the amazing miracle of Christmas - that God would choose to be with us. "O Come, O Come Emmanuel" ~ Epic. This song is a great follow-up to the previous track, as it reasserts the message of the previous song while moving from the sweet to the more powerful. It's a song about a promise that we already know has been fulfilled and will be fulfilled. And I love the violin solo at the end! "Away in a Manger" ~ A calm ending to the whole CD that also subtly reasserts the overall message. Concluding Thoughts: For fans of Jeremy Camp and Christian rock music in general, there's a lot to love about this CD! It weaves a "rock 'n roll" flair throughout most of the songs, while generally still keeping the core "feel" of the traditional Christmas music, even if not all of the songs really stand out or come together smoothly. There's not a lot of "new" here, but there's still a certain charm to most of the songs, and Camp has a great voice. I like how the CD displays fun and faith together! You can buy the CD now on Amazon.com! Merge PR is offering a copy of this CD to one of my readers! If this seems like the sort of music you or a friend would enjoy (a great Christmas gift idea, perhaps?? ), just leave a comment below with your name and e-mail address. Let me know your favorite Christmas song, or your favorite Christian band, or whatever you feel like sharing! Please note that you must have a U.S. or Canada mailing address in order to enter this drawing. The winner will be randomly chosen, announced on November 14th, and will have two days to respond before I choose another winner (as I must give the address to Merge PR by the 19th). "Every year, 30–40 young Amish men descend on the cozy little town of West Kootenai, Montana, arriving in the spring to live there for six months and receive ‘resident’ status for the hunting season in the fall. They arrive as bachelors, but go home with brides! Sarah Shelter has lived in West Kootenai for the last ten years and wonders if she will ever fall in love. Since the tragic death of her best friend, she carries her memories in a jar along with the small items connected to them. For just as long, she’s also been carrying around her emotions instead of allowing them to penetrate deep into her heart. Now she’s met a kind and gentle man who may be able to break down the wall. But can Sarah risk her heart to finally achieve her dreams?" For a sweet falling-in-love, following-your-dreams story, this first book in the "Seven Brides for Seven Bachelors" series captures it all. While one section of the plot conveys some intrigue and suspense (on a hiking trip in the mountains), most of The Memory Jar is gently paced, often detouring into the past and focusing on internal struggles. And yet Goyer writes in an engaging way with some meaningful lines. So even though this isn't an exciting, edge-of-your-seat book, I was impressed by the sweetness that snuck up on me and the themes that resonated with me. Sarah Shelter learned a lot from her friendship with Patty - another free-spirited Amish girl - and Patty's sudden death deeply affected Sarah. But when Jathan finally catches her attention by his heroic and gentlemanly actions, his friendship helps Sarah come to terms with her past. She examines her memories, cherishing the ways that Patty blessed her life, and finds the courage to look toward the future - a future that might just have a lot to do with a certain Amish bachelor and their shared dreams (and cupcakes!). There are quite a few inspiring quotes in this story that stood out to me, and I loved the emphasis on following God's will for one's life and not giving up on the unique passions and purposes He gives each person. The Memory Jar seems to be one of those stories that one reader (like me) will really enjoy, and another reader will find to be "OK." Depending on where you are in life and what you're in the mood for, this book may or may not charm you. 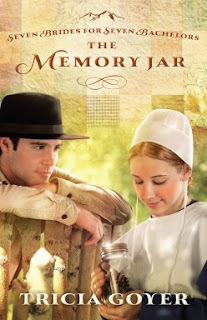 But if you like a well-written story with open-hearted Amish characters and some really sweet romance, I think you'll agree that The Memory Jar is a great start to Goyer's new series. "Tricia Goyer is the award winning author of over thirty books including Beside Still Waters, Remembering You, and the mommy memoir, Blue Like Play Dough. 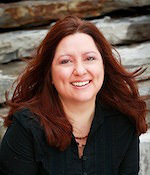 Tricia is a regular speaker at conventions and conferences and is the host of Living Inspired. She and her family make their home in Little Rock, Arkansas where they are part of the ministry of FamilyLife. 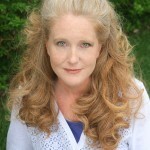 Find out more about Tricia at http://triciagoyer.com." Blog Tour Schedule: Check out of all the other reviews scheduled by clicking HERE. YA Urban Fantasy E-book Giveaway! "Iris Kohl lives in a world populated by murky shadows that surround, harass, and entice unsuspecting individuals toward evil. But she is the only one who can see them. She’s had this ability to see the shadows, as well as brilliantly glowing light figures, ever since an obscure, tragic incident on her fourteenth birthday three years earlier. As the shadows invade and terrorize her own life and family, she must ultimately revisit the most horrific event of her life in order to learn her true identity and become the hero she was meant to be." "Dusty Crabtree has been a high school English teacher at Yukon High School in Oklahoma since 2006, a challenge she thoroughly enjoys. She is also a youth sponsor at Cherokee Hills Christian Church in Oklahoma City and feels very blessed with the amazing opportunities she has to develop meaningful relationships with teens on a daily basis. 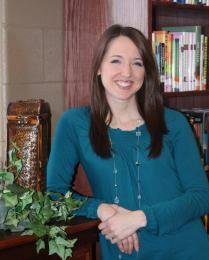 Her passion for teens has poured into her writing as well. She is the author of the young adult urban fantasy, Shadow Eyes, through Musa Publishing, which she wrote in order to give teens an intriguing and provocative book series that promotes moral messages. She lives with her husband, Clayton, in Yukon, Oklahoma, where they often serve their community as foster parents." Learn more about the author by visiting her blog!